Join Nectar Executive Chef Patrick Feury and Vermont’s Kim Werner of FarmPlate, Thursday April 16, 6:30 p.m. for an exploration of America’s best culinary artisans. 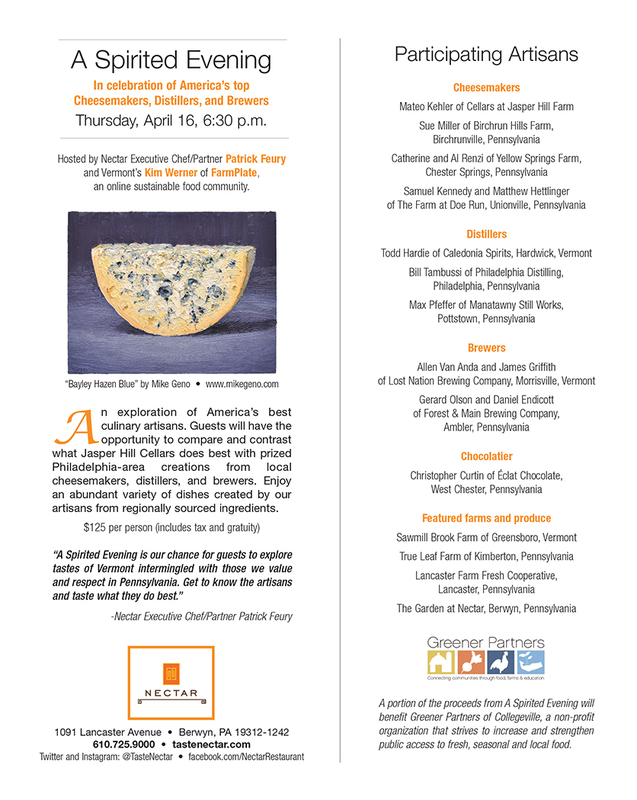 Guests will have the opportunity to compare and contrast what Jasper Hill Cellars does best with prized Philadelphia-area creations from local cheesemakers, distillers and brewers. Enjoy an abundant variety of dishes created by our artisans from regionally sources ingredients. 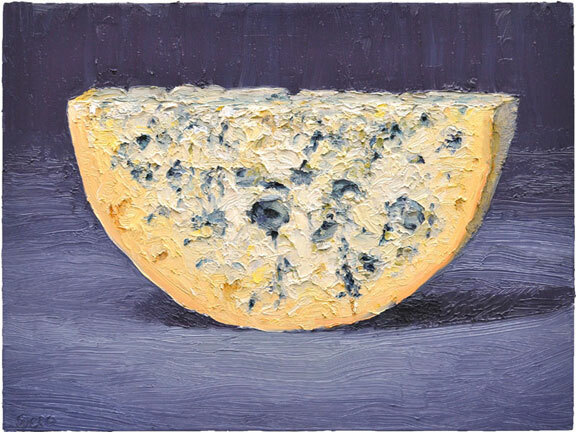 A portion of the proceeds will benefit Greener Partners of Collegeville, a non-profit organization that strives to increase and strengthen public access to fresh, seasonal and local food. This event is $125 per person (includes tax and gratuity). Nectar is located at 91 Lancaster Avenue, Berwyn, PA 19312. For more information please call 610.725.9000. This entry was posted in events on April 10, 2015 by Breslow Partners.